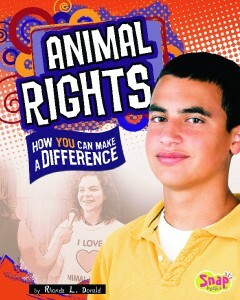 Rhonda Lucas Donald’s book Animal Rights: How You Can Make a Difference is an excellent guide for helping kids harness their desire to create positive change for animals. The book intersperses real-life examples of young folks who have been making a difference for animals with suggestions for brainstorming to come up with and research issues as well as thoughts on about mapping out and actualizing an action plan. I love this book’s examples of youth in action. 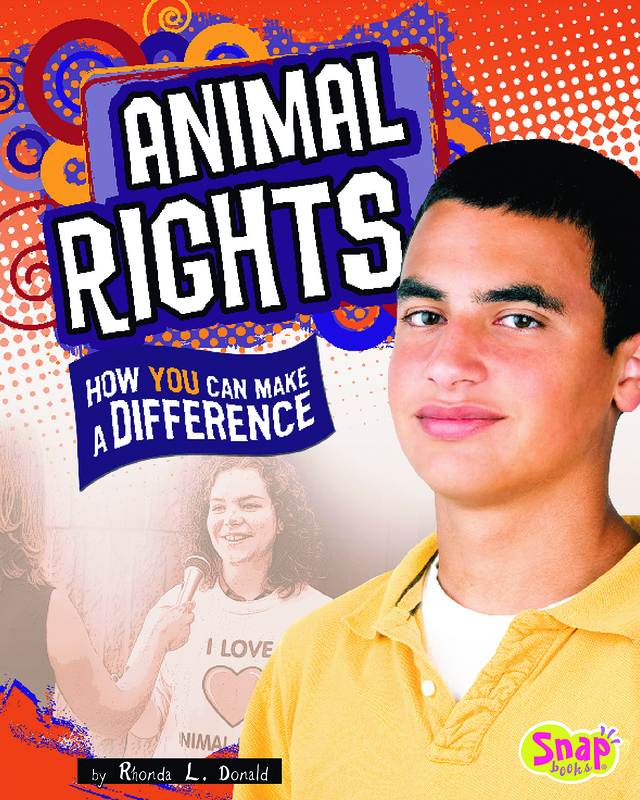 The kids profiled in this book have helped pass animal-friendly legislation, ended school hatching experiments, created a website about the Canadian seal hunt, gotten vegetarian options implemented in their schools and actively participated in efforts securing petition signatures for a ballot initiative. These kids are incredibly connected and inspirational and will help other children see what a myriad of opportunities exist in the animal welfare arena. The book’s consultant Adam Fletcher is the founder of the Freechild Project, an organization about which some parents might be interested in learning. This book also has a short but excellent resource section as well as a Facthound number.